← Runner’s Knee, Tennis Elbow, Skier’s Thumb? 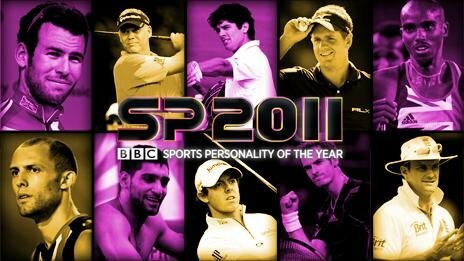 Though I managed to complete my first 10K this year and my netball team was promoted (we’ve since won only two matches), I wasn’t too surprised to not be shortlisted for the BBC Sport Personality of the Year Award 2011. Sidestepping the political furor that seems to have erupted regarding the omission of any shortlisted women, I thought I would focus instead on the achievements of those who have been selected. Reading the list of nominees, what’s stood out for me as a key trait within all those that have been selected is stamina. Alistair Cook and Andrew Strauss have stood their ground at the crease. Golfers Darren Clarke, Luke Donald and Rory McIlroy have all kept their nerve to succeed. Murray continues with his struggle to win a Grand Slam title, though came heartbreakingly close again … maybe next year, Andy. 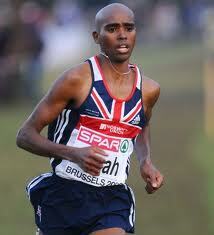 But my two favourite contenders are without a doubt Mo Farah and Mark Cavendish. Mo’s had a great year winning gold in the 5,000m at the World Athletics Championships and coming a stealthy second in the 10,000. (Mo finished the BUPA London 10k before I’d even started…) He’s without a doubt Britain’s greatest ever long distance runner. Cav, on the other hand, is the world’s fastest man on two wheels . 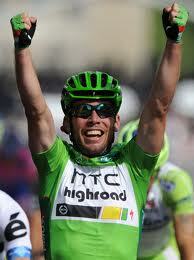 Going the distance, he’s won the Road World Championships 2011 and the green jersey in the Tour de France. Both these athletes more than deserve to win this award and I’ll be rooting for them on the 22nd December. Who will you be voting for? This entry was posted in Cycling, Sports News and tagged Athletics, Cycling, Sports News. Bookmark the permalink.